Have you registered for the Bristol and Somerset Wedding Awards yet? Have you registered for The Bristol and Somerset Wedding Awards 2015 yet? If not, why not? Are you a wedding supplier based in the south west? Whether you’re a florist, jeweller, cake maker, venue dresser, photographer, or musician, we want to see you shine. 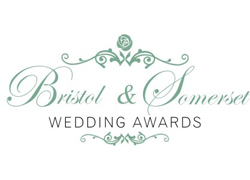 There are currently over 70 entrants to the 2015 Bristol and Somerset Wedding Awards – you’ll be in fantastic company! It is completely FREE to enter the awards, although please make sure that any couples voting for you are due to get married between 1st January – 31st December 2014. Couples can only vote for your services AFTER their wedding has taken place. In order to be eligible, you must be located in any of the following postcode areas: BS (all) / BA (all) / TA (all) / Southern GL Postcodes GL8/GL9/GL12/GL13. Celebrating the cream of the Bristol and Somerset wedding industry, these unique awards will be presented on 27th February at The Bristol Hotel, Bristol. Reminder… Tickets for this glittering event will be going on sale on September 1st 2014; don’t miss out! Please keep an eye on the awards’ official website and Facebook page for more information. The weather may have taken a turn for the worse, but here at The Wedding Wishing Well Foundation HQ we’re feeling warm and fuzzy – and it’s all thanks to your most recent fundraising efforts. Held at the Vivary Centre, Taunton, on 17th August, this fantastic fun day raised just short of £150 for The Wedding Wishing Well Foundation – and it was a lot of fun too. Thank you to those who helped to organise and run the day, as well as those who turned up and participated in this event. We would also like to thank Emma Folland, who organised and ran a quiz night at her local Walkabout recently. Thanks to the generosity of her friends, family, and colleagues, the quiz night was a great success, raising £160 for The Wedding Wishing Well Foundation. Thank you, we’re sure the competition was fierce but fun! Jo Cook of Curves and Couture Bridal will be shaving off her hair tomorrow, Tuesday 26th August, and donating all of the proceeds from her sacrifice to The Wedding Wishing Well Foundation. So far she has raised over £1,000, although we will update you with Jo’s total after the event – thank you so much, Jo. To donate, please visit our website. We are thrilled to have been announced as one of Buckerell Lodge’s charities of the year – we can’t wait to work with them throughout 2014. Don’t forget to vote for us with your green tokens at Sidmouth Waitrose! Without our suppliers, supporters, and fundraisers, we are nothing – so THANK YOU. Please keep us updated with your fundraising news. 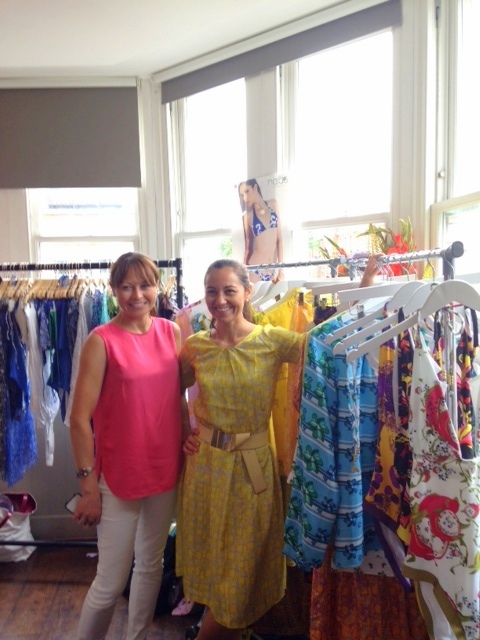 Naomi and the team would like to thank Daniela Bonetto of The Ink Edition, and The Little Red Napkin, for organising ‘My Summer Wish’, an incredibly successful pop-up shopping event, which recently raised much-needed funds for the charity. 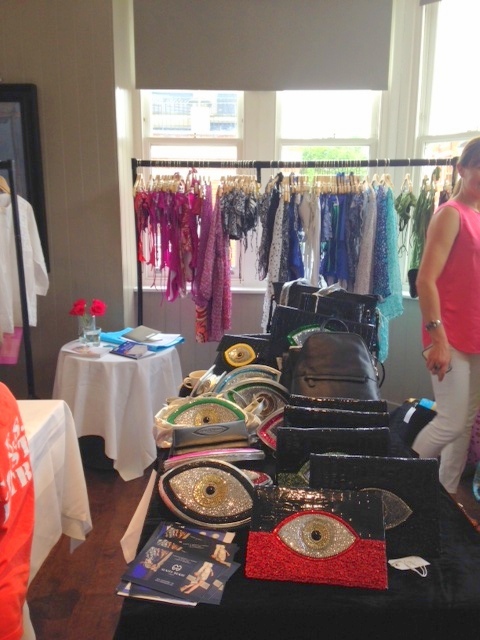 Held at Beaufort House on the Kings Road, Chelsea, the event aimed to bring together luxury suppliers, fabulous products, a fantastic raffle, and savvy shoppers to create a truly unique experience – all in aid of a great cause. In total, the My Summer Wish shopping event raised £939.42 for The Wedding Wishing Well Foundation; an amazing achievement that will help our couples in so many ways. Thank you to everybody who took the time to be there – your support has been amazing. 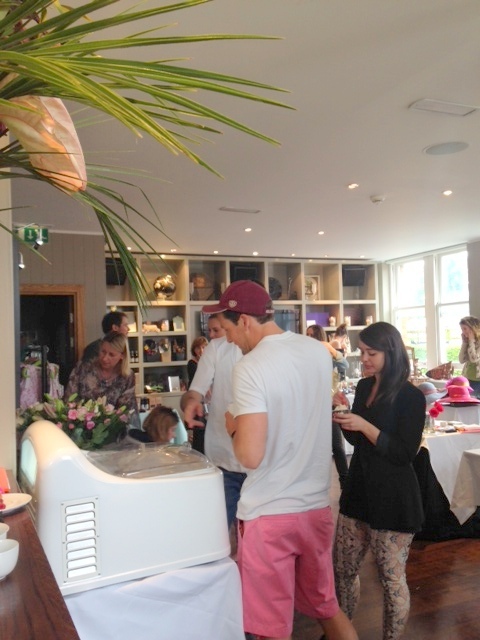 Here are a few pictures of the event – it looked like our sort of day! 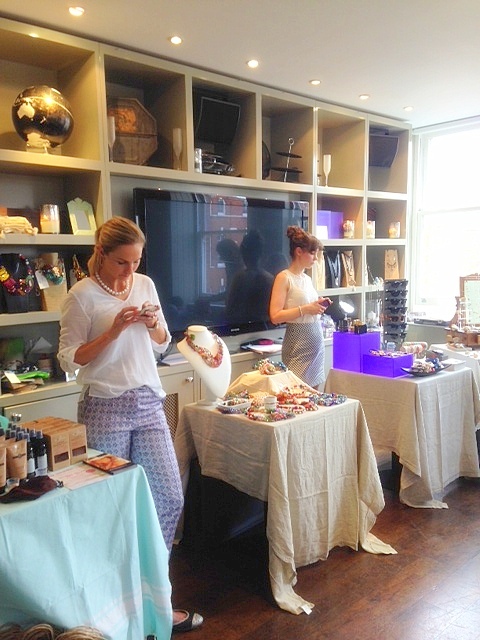 My Summer Wish featured the talents of Palizzi, Nardis Beach, Penhaligon’s, Susy Tarquini, Atelier Chelsea, Marie Cuatre, Sofia Mac Mullen Millinery, My Love My Leggings, Etoile Daran, Fedra, Ela Design, Wax in the City, Sunita Mukhi, Key Leaf, Eco by Sonya, Tara Matthews, Orit, Maison de Marrakech, Chatelles Paris, Alphabet Bags, Valimare, Zule and Ruth Beachwear, and Betty Blythe – thank you to each and every one of you. The event was hosted in partnership with Little red Napkin, The Ink Edition, and Betty Blythe, and was supported by GINO, Beaufort House, and Bride the Wedding Show. Fancy leaping from a plane in the name of charity? We may just have the event for you, with an upcoming charity skydive organised. If you can raise a total of £395 you will jump for free, so be sure to get those sponsorship forms handed out! If you’d like to take part, please contact info@weddingwishingwell.org.uk. We are also excited to be able to tell you about a brilliant event being held at Eastwood Park in September. If murder most foul is your thing you’ll love Deadly Diamonds, a Murder Mystery evening being hosted on 26th September 2014. The evening costs £32 per person, and will feature a charity raffle in aid of The Wedding Wishing Well Foundation. For more information, please click here. 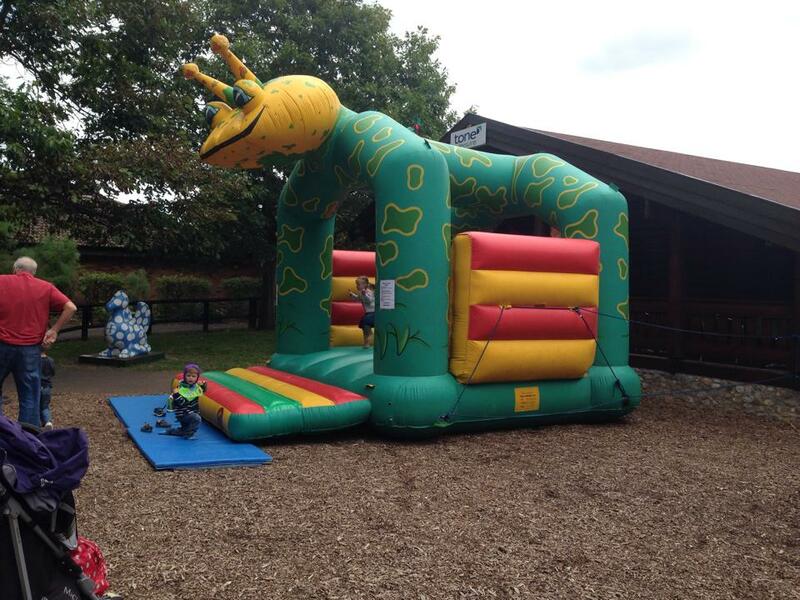 DON’T FORGET… The Vivary Centre Fun Day, which is being held on the 17th August. 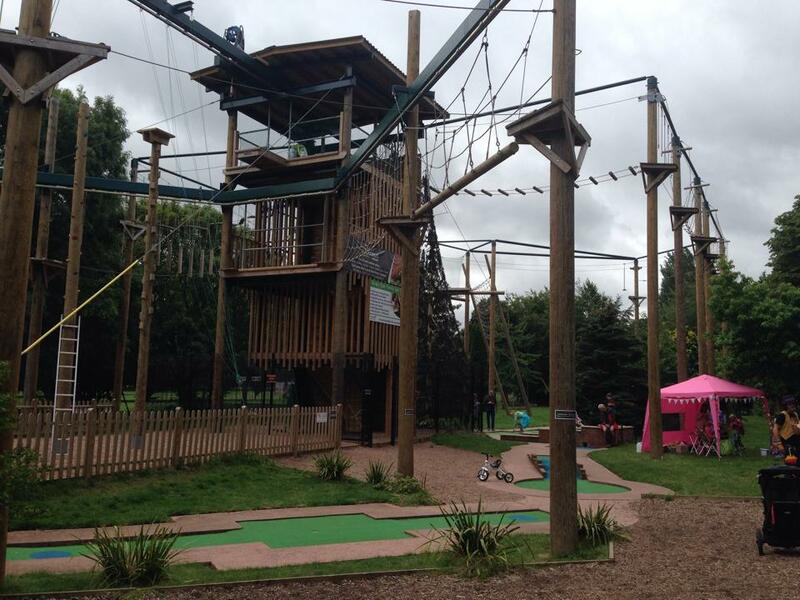 All proceeds from the high ropes challenge, as well as donations from the food sold, will be donated to the Foundation. If you live in Sidmouth, keep an eye out at your local Waitrose… we have once again been nominated as part of their Community Matters scheme, and you can donate their green tokens to us during August. We would like to thank our fantastic supporters Vanilla Catering. They are constantly going above and beyond for The Wedding Wishing Well Foundation, and have recently raised £530 for us – that is a fantastic total, and will go great lengths towards helping our special couples. Keep an eye out for more exciting fundraising events coming soon and, as always, please contact us on info@weddingwishingwell.org.uk if you have any ideas for fundraising, or wish to tell us about your event. No Ordinary Wedding Planner is continuing to touch hearts across the country, receiving 5* reviews from all who pick it up. The perfect holiday read, No Ordinary Wedding Planner is available for download on Kindle, and other e-readers, and can be enjoyed in an evening – we dare you to put it down. No Ordinary Wedding Planner will be released in a paperback format on 25th September 2014. You can purchase your copy directly from Amazon – We hope you enjoy reading Naomi’s story as much as she has enjoyed telling it! If you would like a signed copy of ‘No Ordinary Wedding Planner’ when it is released in paperback, please keep an eye on The Wedding Wishing Well Foundation’s official website; a dedicated link will soon become available so that you can purchase the book directly from the foundation and ensure that your copy has been personally signed. The book will cost £4.99, plus postage and packing. 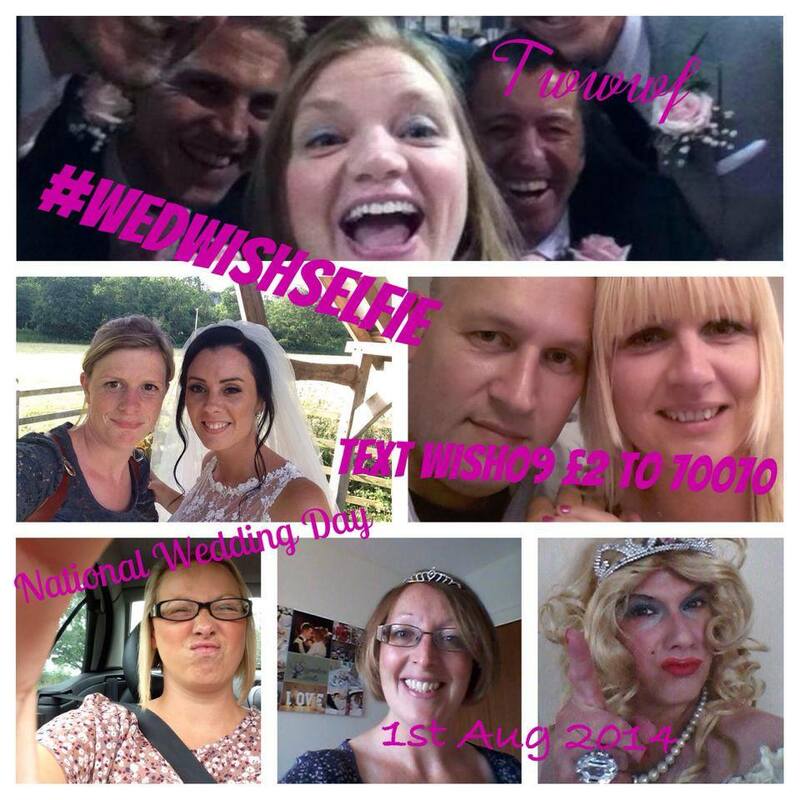 If you have taken a moment to send us your wedding selfie and donate to The Wedding Wishing Well Foundation, then THANK YOU – we were particularly blown away by the reaction to our National Wedding Day campaign, which was a huge success. It’s not too late for you to take part, though – the campaign is ongoing! So if you took a selfie at a recent wedding – whether you were the bride or groom, a member of the bridal party, or even a supplier – or are heading to a wedding at some point in the future, make sure you send us your selfie. Donating couldn’t be easier; simply text “WISH09 £2” to 70070, remembering to claim Gift Aid when you receive your confirmation text. You can then share your selfie via Instagram, Facebook, or Twitter by using the hashtag #wedwishselfie. There is a prize for the best selfie – £150 worth of Johnsons Cleaners vouchers, so it really is worth entering!